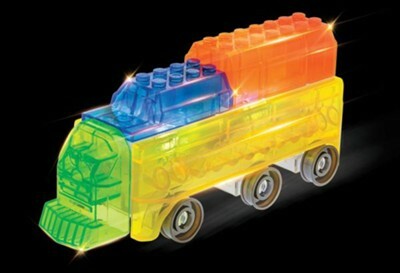 All aboard with this traintastic 3-in-1 Trains kit from Laser Pegs Junior! Ride the rails as the conductor of the Steam Train, Passenger Train, or the Freight Train. Don't forget to light up your creations so your adventures can last all day or night! Combine this kit with any of the other 3-in-1 Junior kits for the ultimate one-of-a-kind building experience! Recommended for ages 4 to 7 years. I'm the author/artist and I want to review 3-in1 Trains Junior Laser Model.